FindItMore | There are many browsers available on the internet that people use to browse a website. Some of the most popular browsers are Chrome, Firefox, Safari, and Internet Explorer. So, when you launch a site, and it gets popular, people can browse it with different browsers. Now, that’s good news for you as your website is getting huge traffic. But, the problem arises when a website fails to open correctly on a specific browser. For example, some websites are not fully compatible with every version of Internet Explorer like Yahoo, Wikipedia, WordPress, and Flickr doesn’t work properly on IE 8. So, what is the reason behind this? Let’s find out! Reasons Why Some Website are Not Compatible with Internet Explorer? As you know, web pages are programmed using different programming languages, and these languages render differently with different browsers. Usually, it’s very rare for every website, but it can lead to functional and visual defects that will potentially affect how users interact with your website. That’s why cross browser testing is crucial for every web application. While other browsers like Chrome and Firefox automatically renders with the web pages, Internet Explorer doesn’t fit with every web application. If you test your website on IE, there is a certainty that it will break. One of the main reasons behind this is that Microsoft didn’t follow the guidelines of W3C that provide specific HTML and DOM specifications for browsers to make their own decisions regarding features and plugins. When all other browsers were following rules and upgrading themselves, IE preferred to stay with the old technologies. So, it is no less than a nightmare for testers as well as developers when it comes to testing a website across Internet Explorer. It leads developers to run into issues when they attempt to write standards-compliant applications for IE. Other browsers keep improving themselves to provide better speed, security, and standard compliance, and by the time Internet Explorer realized this they were far behind the competition. In 2015, Microsoft replaced IE with Edge as the default browser of Windows 10. Also, with the latest version of IE11, most of the issues have been resolved as it runs in Edge compatibility mode. However, many users still face compatibility issues with IE11 and the earlier versions of IE while browsing their site. 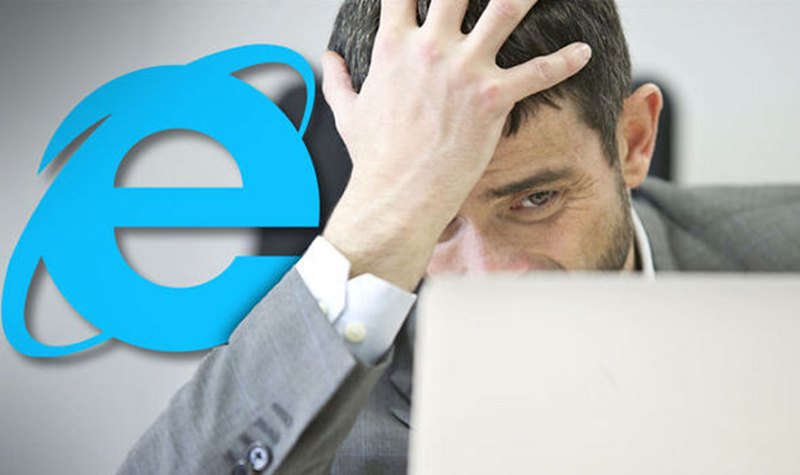 Here is a list of problems that users often encounter while browsing a website on Internet Explorer, and the solution to fix those issues. IE Browser Issues and How to Fix Them? There are many errors that can occur while browsing a website on Internet Explorer. These errors often cause problems in loading images or web page properly, show broken links, etc. Below are some of the common issues – let’s have a look at them. If the IE browser failed to open any image or web page, then there might be an issue on your end and not the web page. This issue often occurs due to IE browser configuration problem. Open Internet Explorer and go to Tools in the top-right corner of the window. Now, select Internet Options, and click the Advanced Tab in the opened window. Go to Settings under the Multimedia Section, and make sure the checkbox Show Pictures is checked. If not, then check the checkbox and click Apply. Close the window by pressing OK.
Close the browser and re-open the same web page. Once you enable Show Images, you might not face the same issue again. However, if you still face the image related issues, the test for browser compatibility of your website. Recently, many users’ complaints that IE 8.0 doesn’t support JPEG images that are saved in CMYK mode and only supports the pictures that are stored in RGB mode. When you open a similar image in both CMYK and RGB mode, you’ll see that the CMYK image appear as a broken image or look reddish in the Internet Explorer. But, in Chrome and Firefox both the images open correctly. So, if IE is displaying both the images differently, then it is not an issue of your IE version, it’s the issue of the image. One simple solution to fix this problem is changing the image format from CMYK to RGB. There are many photo editing tools available, such as Adobe Photoshop, GIMP, and many more that can identify if a JPEG image is a CMYK image and save that image as an RGB image. You can also prefer using online image converter. Using this technique, you can resolve the JPEG image issue. Most of the problems in every version of IE including IE11 occurs due to website compatibility with the browser. The IE rendering has very poor CSS and JS support in the compatibility mode. Some people even compliant that IE can misidentify a site as an intranet site, and IE11 render an intranet site using compatibility mode. That’s the most obvious reason your website breaks while running in Internet Explorer. If you’re using IE11 and facing compatibility issues, then it’s important to know that Compatibility View location has been changed in IE11. In the earlier versions of Internet Explorer, the compatibility view icon is located at the end of the address bar that allows you to alter how IE browser displays your website. But, in IE11 there is no direct option to switch compatibility modes. To change the compatibility view, you need to go to the IE11 settings list and add the offending site there. For example, if you want to use Google+ properly, you need to add Google.com on the list. Follow these steps to go the Compatibility View Settings list in Internet Explorer 11. Now, select Compatibility View Settings in the tool’s menu. After adding the site to this list, Internet Explorer will refresh the web page that you’re visiting, and then you’ll be able to see if the problem is fixed or not. Usually, most of the problems related to a site can be resolved using the above technique. But, sometimes there can be a problem with your website CSS that can cause compatibility issues. Many people often don’t configure their website CSS according to every browser, which can lead to several errors to the website. Or you can try that too. However, there are still some sites that often don’t open properly in every version of Internet Explorer. So, it’s important to check what engine your Internet Explorer browser is using to render web pages. IE11 uses two engines – Trident and EdgeHTML. Trident is the old engine that provides backward compatibility for legacy websites, whereas Edge is the new engine from Microsoft and supports all the web standard. But, you should not completely rely on Edge web standards for your website compatibility. There is no guarantee that your website will open appropriately in Edge. So, make sure you perform website compatibility testing in Edge engine as well just to ensure your site is working similar to other browsers. There is no doubt that Internet Explorer creates a lot of problems for website’s compatibility. But, it still holds a good amount of shares in the browser market, which means people still use IE to browse sites. Therefore, it is necessary to test your website compatibility across various browsers including their older version and operating systems. However, it’s not easy to test a website across all these platforms manually. So, you can use a cross browser compatibility testing platform like LambdaTest. It gives you the freedom to test your site across different versions of Edge and IE in different systems. How is it Different from Machine Learning and Big Data? NEXT POST Next post: Which Credit Cards can help you Maximize your Savings?